Joe Hart has apparently been telling his friends that he would jump at the chance to move to Jurgen Klopp’s Liverpool if the opportunity presented itself. The Mirror claims that Hart, who has been enjoying his time in Italy despite a host of recent mistakes, would like to return to the Premier League once his loan spell at Torino comes to an end. Recent reports claim that Manchester City would allow their former number one to leave for as little as £10 million, affording him more choice when it comes to deciding his next club, as a thank you for his years of fantastic service in Manchester. 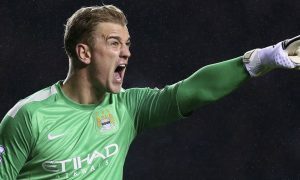 Hart’s dream move may not be on the cards however, as according to Sky Sources, Liverpool have no plans to make a move for the England stopper in either this window, or the next. Liverpool currently have two good goalkeepers of their own in Simon Mignolet and Loris Karius, and are therefore unlikely to try to sign another unless one of the aforementioned ‘keepers leave the club. Regardless of whether Liverpool change their minds, there is a strong possibility that Joe Hart will be back in the Premier League next season.